The more you speak negative, the more uglier you become. The more positive you speak, the beautiful you become! Someone can be as beautiful on the outside as they are on the inside, but when he or she betrays your trust, they become the ugliest person in the world. Hearts get infiltrated, promises get broken, rules get shattered, love gets ugly. When love flows with freedom there is beauty. When love flows with dependence there is ugliness. Positive people know Beauty. Negative people know Ugliness. You are either as beautiful or as ugly as you believe you are. You define your beauty. 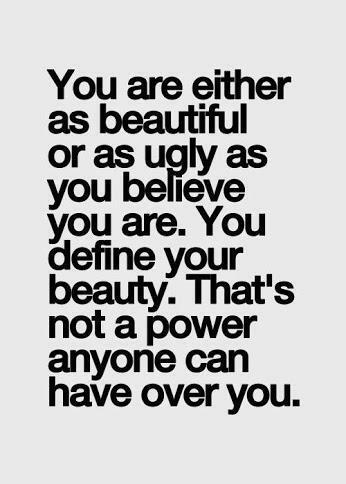 That's not a power anyone can have over you. 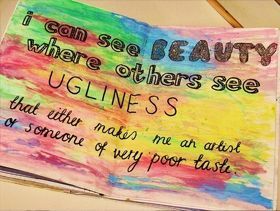 Ugliness means the trait or feature of any person or thing to bear an unpleasant look. The unpleasant look does not charm or attract people but repels and results in a very unfavourable evaluation. 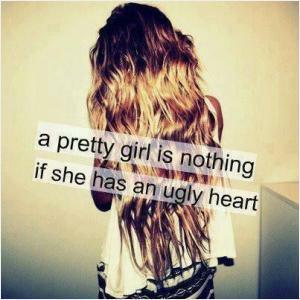 People who bear an ugly look might also be called things like an “ugly duckling” too. In the words of Goldwin Smith, “America is supposed to be given over to ugliness. There are a good many ugly things there and the ugliest are the most pretentious.” Ugliness can be done away with by taking proper care about your looks and appearances. Your appearance and looks speak volumes about your character and nature on the whole. So, the whole concentration is on looking good and feeling great. People should take up some grooming classes to deal with ugliness and to do away with it.